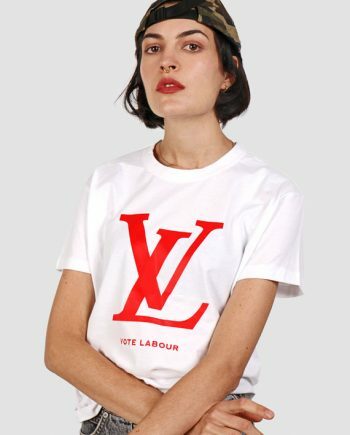 Wake up and smell the cronyism. 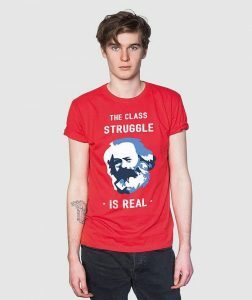 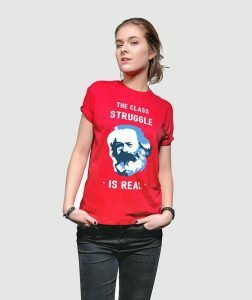 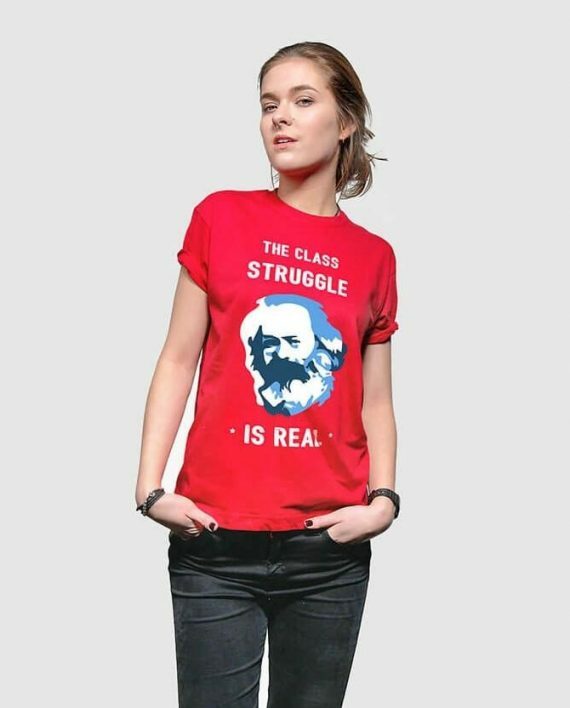 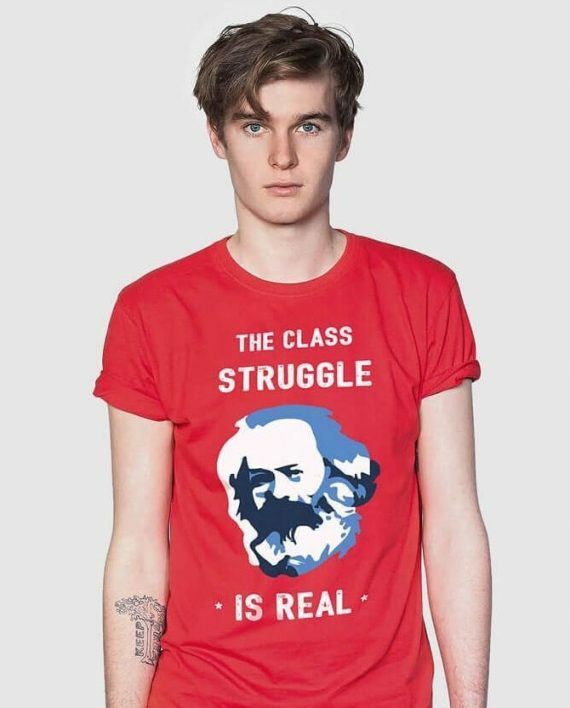 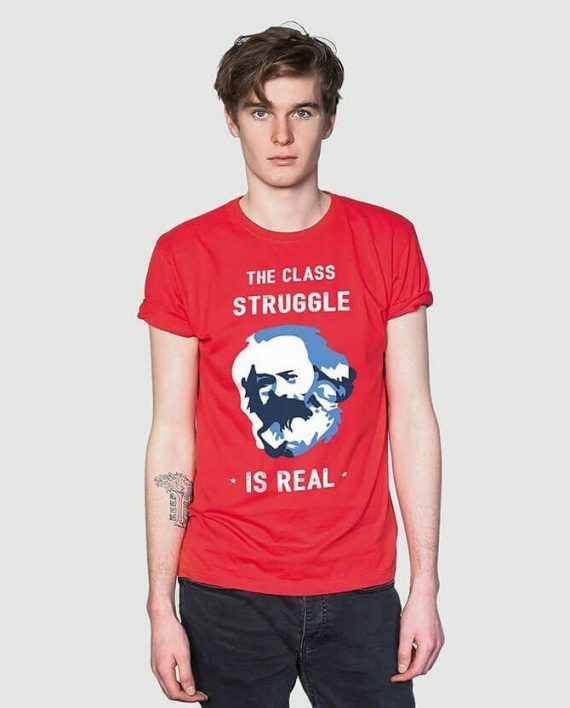 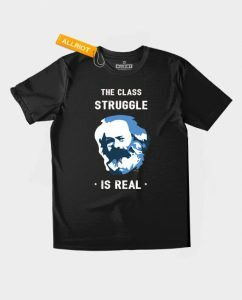 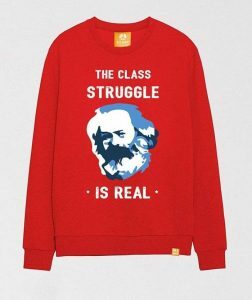 The revolution is long overdue because the class struggle is real. 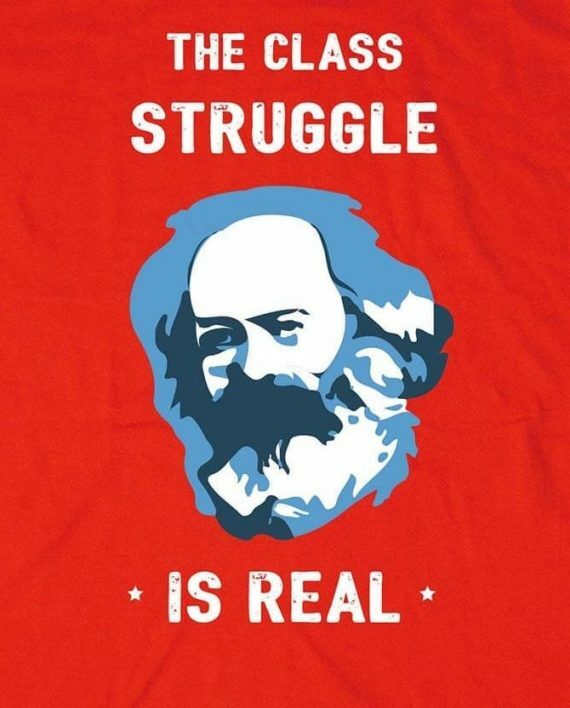 133 years after his death, the answer hasn’t changed: “From each according to his ability, to each according to his needs!”. 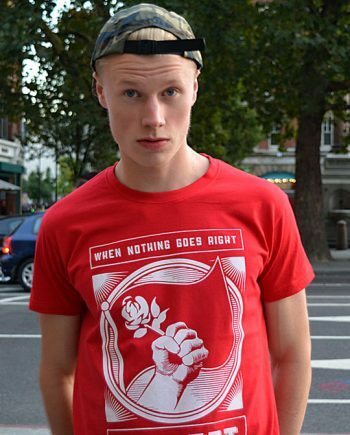 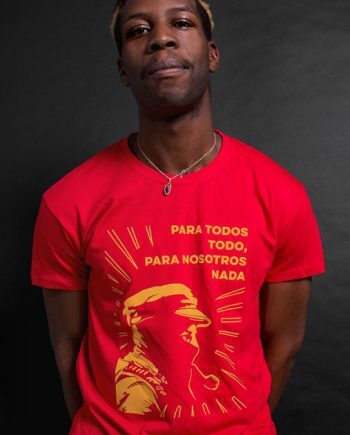 Our Karl Marx shirt features large front print of Marx’s mugshot on a Bandiera Rossa background. 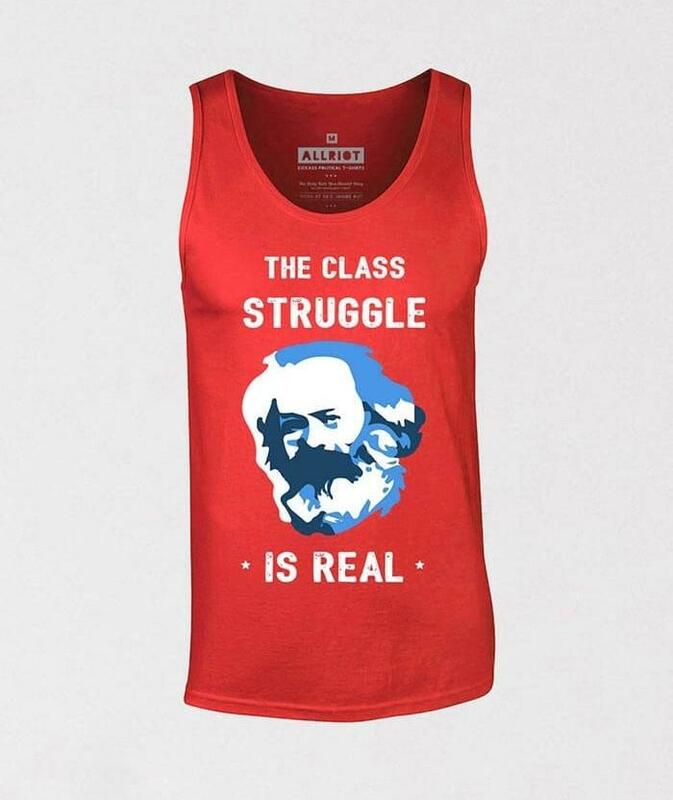 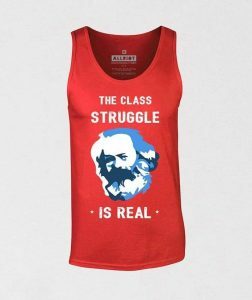 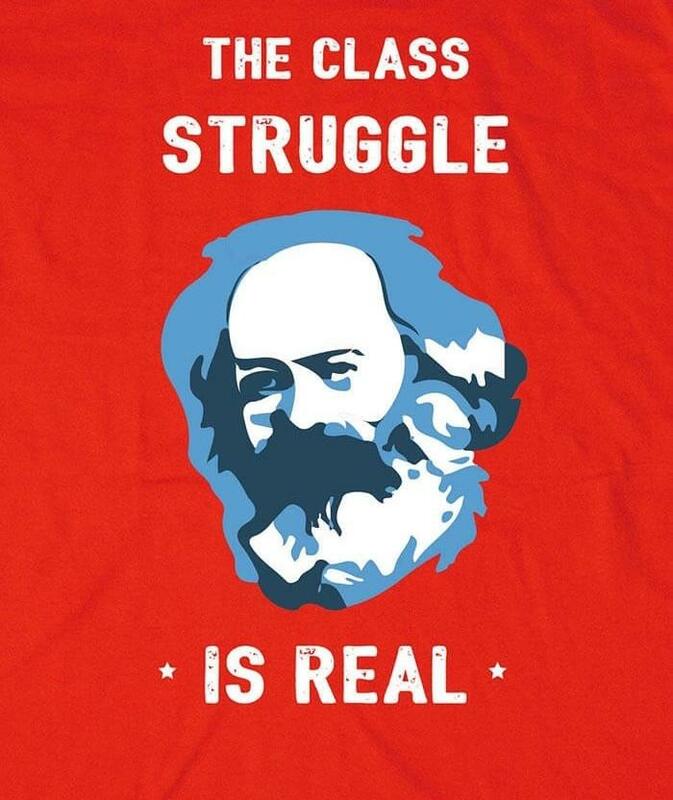 The class struggle is real, and we’re already five minutes late for the final exam.